Recently we shared the travel guide for designers visiting Berlin. Today’s post continues the series and offers you the must-visit places in London. London belongs to the cities where the visuals present a real problem of choice, with a great variety of museums and galleries, markets and bookstores, cafes, parks, rooftops, and other incredible locations. Based on recommendations from the locals, we’ve prepared a list of places to be visited and seen by designers who are going to land up in the capital of Britain. Albina Cholak, Service Designer for Octopus Labs London. All four of London experts we asked have included The Design Museum into the recommendation list. Search for expositions of product, industrial, graphic, fashion, and architectural design, as well as a Designer Maker User which is a permanent exhibition displaying an interaction of three roles: Designer, Maker and User. Regular public meetings, workshops, courses or family events are very common there. “Stunning architecture of the building itself is a must-visit place for all designers”, says Anna Ginzburg. Just imagine, V&A has over 2.3 million art and design exhibits. You can get lost for a whole day. The museum features numerous national collections of Great Britain. There you can study the history of architecture, furniture, fashion, textiles, photography, sculpture, painting, jewelry, glass, ceramics, weapons, book industry, Asian art and design, theater and performance. Tate Modern is a free museum to visit. It is located on the bank of the Thames in the building of the decommissioned Bankside power plant. On the 10th floor, there is an incredible terrace and a cafe overlooking the city center. After the museum, walk through the Millennium Bridge – yep, the one from the “Harry Potter” – directly to Saint Paul’s, the main and first cathedral in London. “Most London museums are free. At the entrance, you can often see donation banks and mistake them for a place to buy tickets,” says Sergiy Voronov. This one is the gallery with a minimalist interior and provocative modern art collection. One of the most popular art spaces of contemporary art situated in the Kensington Gardens. It neighbors with Chucs Restaurant&Café designed by architect Zaha Hadid. The Tate Modern Bookshop is the home for catalogs of previous and current exhibitions of the Tate Modern museum, countless illustrated children books, and publications of the Tate Publishing, the London leader in visual arts area. Go straight away to the Artwords Bookshop if you’re searching for books on contemporary art and visual culture, object and graphics design, fashion, architecture, photography, painting and visual art theory. A small store selling books from the world-famous Taschen Publishing House. A lively bookshop on the water that not only sells books and magazines but also plays vinyl records. Electric Cinema is one of the oldest operating cinemas in Britain; its impressive interior with velour dark red sofas will impress you. Cinema hunters are highly recommended to explore London roofs. Rooftop Film Club hosts showings on various rooftops, but only in warm weather. So keep this advice till the warm season. The Sketch bar is the one to visit not just for a unique gastronomic experience but also to get a portion of pink inspiration. The interior was created by the designer India Mahdavi. “The restaurant is a pink dream with the most Instagramish interior you can imagine, even in lavatories. Here you’ll be feasted with Michelin meals followed by a classic British afternoon tea” Albina Cholak says. The Green Bar at Hotel Cafe Royal is a portal to the extravagant world of the late 19th-century era. A spectacular interior and a bar where you can check out cocktails made according to a traditional English formula. A cafe with dainty pastry, a shop and creative studio gathered under the roof of Sans Père. It is situated at the very center of the Shoreditch district. That is the place where visual ideas of Wes Anderson came true. The Hackney Flea Market is a gathering place for passionate fans of a vintage decor. The market appeared spontaneously at Stoke Newington’s Church Street five years ago. Since then, Hackney Flea Market has grown to a monthly market at weekends. Now it’s the place to look for unique things. You can find everything from synthesizers to furniture, as well as get acquainted with young artists. Filled with noise, color, and lifestyle, the Brick Lane is a vibrant blend of Indian curry, freshly baked bagels, Chinese flavors, and healthy sweets. It’s a real alternative food comparing to classic British burgers. There are also many independent music studios, small craft shops, hipe clubs and bars. Every week there’s an explosion of a color at Columbia Flower Market. It’s better to come here in the morning since it becomes really crowded later. That’s a must-see for the fans of hipster districts. The Shoreditch is all about graffiti on every second building, dozens of cafes, shops and studios. “There’s a great number of design spots! If you give up to them without control, you’ll probably get lost in that variety. The capital of Britain is awake 24/7, even at night the number of people outside doesn’t decrease” says Max Shkinder. Barbican is the biggest art center of its kind in Europe. If you come here, be sure you’ll get a concert of classical or contemporary music, or a theater performance, or a film showing or an art exhibition. The local library is also worth paying attention to. The lovers to combine nature and cocktail parties will like the Sky Garden, a glass dome garden with an incredible view of the city. Enjoy live music and light cocktails offered there. Richmond Park is the place to hide from the city noise and dynamics. The royal park was founded by Charles I in the 17th century as a reindeer reserve and a flower garden of 40 acres. Deers got used to people and just walk among them. A trendy, surrealistic hotel filled with art objects from furniture to bar glasses. It offers an interesting cocktail card and inspirational terrace. 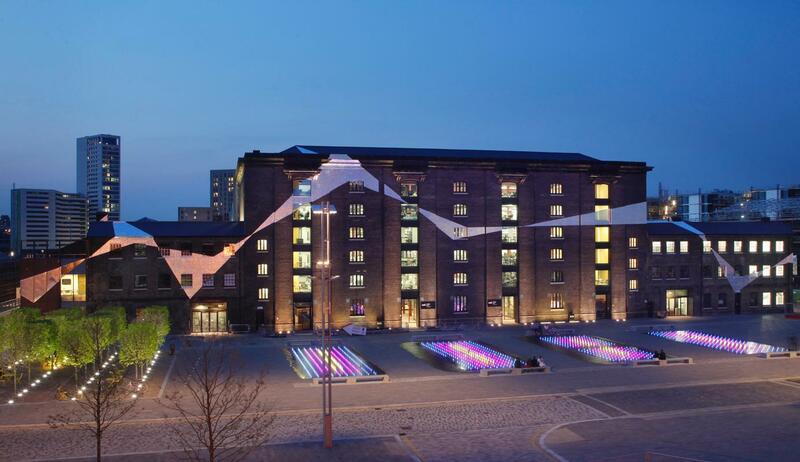 Central Saint Martins College is located in the square near the canal with English bars and fountains. You are also recommended to take a guest pass to the local library. School books do not tell about one of the columns in Trafalgar Square, where the exposition of contemporary sculpture is regularly refreshed. Old British department store made in the style of the Tudor times. BAPS Shri Swaminarayan Mandir is the first authentic Hindu temple in the UK with incredibly fascinating details of architecture. A modern cultural center where you can visit a gallery, theater, bookstore, and two cinema halls. An excellent ending of the day in London is watching the sunset near the Royal Observatory (Prime Meridian) in Greenwich. Also, take a walk along the embankment with pubs and come round to the famous fish market. Be sure to visit Greenwich University, the one you could see in the Thor movie.